“Then” photographer Roger A. Hart came to Newport in 1937 to open “Hart’s for Parts,” a Napa Auto Parts store. As a hobby and side business he photographically documented everyday things, such as street scenes and buildings, which are now a highly significant local historical resource. For the “Now” component of this exhibit local photographer Bill Posner generously volunteered to venture out in the field and reshoot the selected Roger A. Hart images as accurately as possible. The results are nothing short of fascinating. Some scenes have undergone a tremendous transformation while in others little has changed. Case in point, the Yaquina Bay Bridge. The bridge looks almost exactly as it did in the 1940s, yet the changes to the surrounding landscape are rather dramatic. Newport resident Bill Posner has been active in the digital arts, video, photography and image creation for over 40 years. Posner’s photo work runs the gamut of image creations, from outdoor, nature and wildlife work, commercial products, photojournalism, live events, and abstract imagining. All told there are over 40 images in four groupings in this exhibit. Enlarged prints of the “then” photos of Roger A. Hart appear on the gallery walls. Posner’s “now” images, in keeping with the digital times we live in, are displayed in slide show form on four digital pictures frames, one for each grouping. The slide shows are motion activated, turning on when someone walks up to them. Each image appears for 10 seconds. Visitors who pair the “then” images with the “now” images are treated to a visual history of the area. 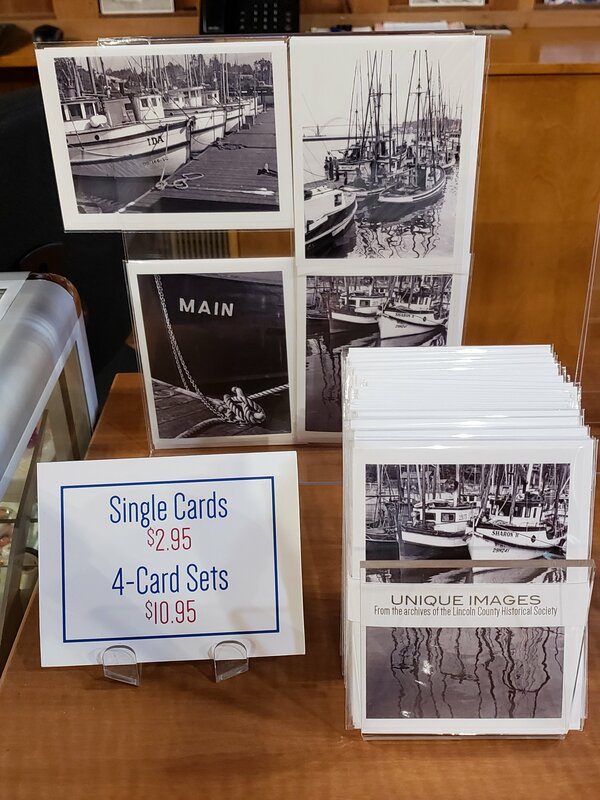 A cross section of Bill Posner’s photographic work is available for purchase at the museum with proceeds benefiting the Pacific Maritime Heritage Center. “Then & Now” is currently schedule to be on display through November.